I wonder if there will be new Patrick Staudacher tomorrow. If Vlhova does participate, I think you will have a good Chance. She would have won her run for sure, and you would only have needed one more win for at least a tie. 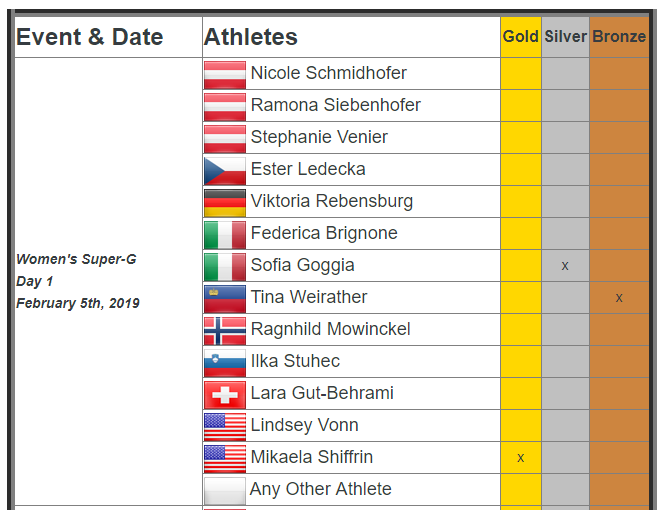 Which is possible, our men's team with Neureuther possibly not competing in team's event and Luitz being injured is a bit dubious as well. But I agree that without her Germany would be the favourite. "This is quick, but will it cost her time?" Schmidhofer lucked out in St Moritz. Can't follow it up. Agreed. Staudacher finished 7th at the Olympics. Schmidhofer finished 18th.